There is no denying that the breakdown of a marriage or relationship is tough on everyone, especially children involved. For them, one of the most confusing and upsetting things in the middle of all this change is the sudden unpredictability of when they'll see mum or dad next. What makes this new normal even harder can be the navigating of work schedules, activities and the usual weekend grind, all the while trying ensure that the kids spend enough time with both of their parents, while also giving them a sense of stability and normality in all of this. It will take a lot of patience and some serious scheduling skills, for sure. 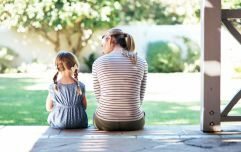 But the good news is that it isn't un-doable, and know that it is possible to create a safe and happy home situation for your children – even if it means they now have parents who no longer live together. 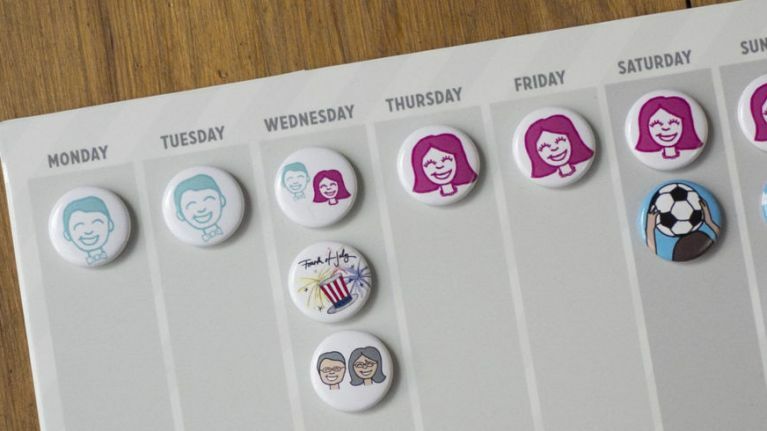 And to help out with just this, these smart co-parenting calendars from US-based Mighty and Bright will no doubt come in handy for many divorced families. The best thing about this product? It creates an actual visual timeline for children as to who they are with on any given day and what their week/month will look like. To one happy customer, Sara Olsher, it was the calendar's tactile and visible nature that made her think it would really benefit her young daughter. "Unfortunately for [kids], our custody schedules are usually kept on our digital devices, where we can reference them but our kids cannot," Olsher wrote on Mighty and Bright's website. "Kids learn visually. Visual aids allow children the time they need to process complex concepts." How it works? The "Custody Calendar" is just that — it keeps track of who has who on any given day with kid-friendly magnets designed to keep children in the loop. Meaning, if they are staying with dad on Saturday and Sunday, put up a 'dad' magnet on those days, and same for days they are with mum. On days where they might wake up in one parent's house, but will be going to the other, use both mum and dad magnets to give them clarity about what their day will look like. Oh, and to make things even more predictable, there are magnets for babysitter, grandparent and appointments too, making it all the easier for young children to anticipate their days and weeks in the middle of what can be a very confusing and stressful situation.